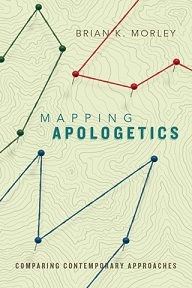 Book Review: “Mapping Apologetics” by Brian Morley | J.W. Wartick -"Always Have a Reason"
Thanks for the helpful review, J. W.
Do you know of any others besides the ones listed here? Off the top of my head I don’t know of any other books that focus on apologetic method in the sense of trying to survey many views. There are plenty on specific methods, but I don’t know about many others that survey them. Nice book review. I was wondering how the book would be. Going a bit tangent from your post, for your MA in apologetics at Biola did you write a thesis? I did not write a thesis. It was not an option when I enrolled. It is now.